Can you counter a spell twice? Disciple of the Ring gets +1/+1 until end of turn. Kiddragon the "chain" requires Chakram Retriever or Disciple of the Ring to be activated. Not the cleanest thing and Soren didn't specify that part, but it still works in this specified line. Oh, I know very well how the pod line works. I've spent countless hours and tore out a lot of hair trying to figure out the most efficient way of assembling a chain to Hulk myself and it just hasn't worked in my favor at all because there isn't a great ETB untapper at 5 CMC. Tidewater Minion is fine. Chakram Retriever and Disciple of the Ring feel a little less conditional to me since they don't require a haste enabler, but they still aren't great. I removed Riptide Chronologist and added Disciple of the Ring . Reasoning behind it is it's just too difficult to make work, and requires more pieces than necessary. Loving the deck! I’m actually working on a list of my own and found a lot of inspiration and cool cards in your decklist. My list is a budget cEDH deck ($400-450) and uses some different combos that you might want to try. two or more mana of both colors. 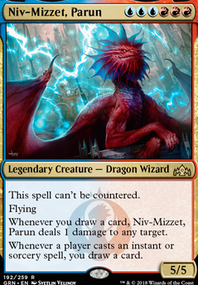 Pod away a one or two drop creature, getting Spellseeker and tutoring for Pull from Tomorrow . If you pod away an untapper, make sure to untap vannifar before it dies. Pod away spellseeker to find Fatestitcher . Pod away fatestitcher to find Disciple of the Ring . Use Disciple to untap vannifar by exiling an instant or sorcery from the graveyard. Pod away the disciple to find Deadeye Navigator . Soulbond to any creature (the soulbond doesn’t matter just yet). Cast Pull from Tomorrow and draw your deck, then discard a land. 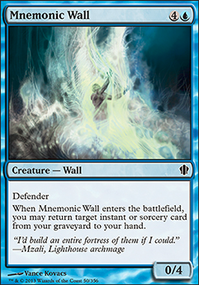 Another wincon used with this specific combo is, once you have infinite mana, playing Laboratory Maniac and then casting Blue Sun's Zenith to draw a card. You can also use blue suns zenith to mill your opponent in 1v1, if you like to do that :) this combo usually can get online in turns 3-5, especially with a good start of a mana dork into an untapper and getting vannifar our turn 3. The second main combo in my deck involves chaining untappers and podding them away until we reach Protean Hulk , but it’s a bit too complicated to type out all the way right now ;) I’ll probably have the decklist up soon enough so you can check it out then if you’d like. Just thought this combo was fun and fast enough to tell you about, and it doesn’t take too long to pull it off time-wise if you know what you’re doing, which makes it less miserable for the table. Lemme see, well you dropped some untappers 3 minutes ago according to the revisions so here is what is left: Quirion Ranger, Wirewood Symbiote, Concordant Crossroads, Vitalize, Dramatic Reversal, Scryb Ranger, Kiora's Follower, Pestermite, Deceiver Exarch, Bounding Krasis, Intruder Alarm, Thousand-Year Elixir, Archaeomancer (used with Spellseeker on 3 for Vitalize or Dramatic Reversal), Breaching Hippocamp, Disciple of the Ring, Chakram Retriever, Woodland Bellower (used to fetch a Bounding Krasis), and Great Oak Guardian for untappers/haste enablers for Vannifar, that is 18, with 2 undesirable lands excluding their untapping abilities, Minamo, School at Water's Edge and Wirewood Lodge. Otherwise, the commander-centric cards don't end there. Cards that are otherwise generally bad outside of a strategy aiming to sacrifice creatures as fodder like Dosan the Falling Leaf (does see play in Sisay because it is legendary), Manglehorn (does see play in blood pod because of Birthing Pod) or a card like Archetype of Endurance in the deck specifically to be fetched after you sacrifice Protean Hulk to Prime Speaker Vannifar are clearly bad outside of this commander centric build. This means 23 clearly commander centric cards. 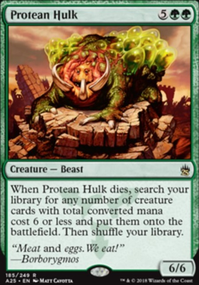 Then, because of the way this deck uses Vannifar to get hulk without sacrificing it immediately, the deck has cards like Crop Rotation to find High Market, more dead cards outside of Vannifar. d3sden0va, I've been trying to make a Vannifar combo deck for the last 2 days straight and I can tell you have seriously thought about this deck and that it is really good, so kudos to you. Even so though, I still have some questions. 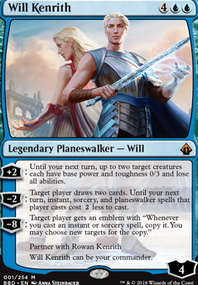 Where does this deck take into the consideration the case where you draw/have in your hand one of the critical components to continue the combo? For example, other than the Backup Arcanist Line that avoids Graveyard Hate, you use Fatestitcher in every combo. What happens if you naturally draw Fatestitcher or have it in your starting hand? Many other Vannifar decks I've seen run Brainstorm, or even Scroll Rack to help mitigate that problem. What would be your solution? It uses a lot of the cards that you already have, and it's just another way to get infinite mana by getting Palinchron and Deadeye Navigator out. Just a suggestion. Thinking of a Vannifar line has been tricky. 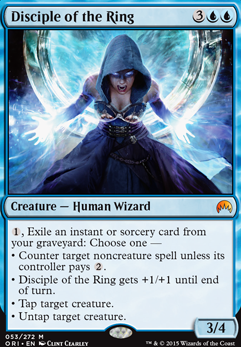 If we use her as the commander alone, assuming we sac a 0 drop, we could use her to pod into Quirion Ranger => Scryb Ranger => Deceiver Exarch OR Pestermite => Breaching Hippocamp => Chakram Retriever OR Disciple of the Ring and cast or exile something respectively (wish Body Double worked here though and retained 5CMC) => Great Oak Guardian OR Woodland Bellower grabbing Bounding Krasis => Protean Hulk BUT our line stops there if we can't sac Hulk. If we do find a way to sac Hulk, we can grab Ezuri, Claw of Progress and Sage of Hours with a bunch of 0 drop creatures and win from there, but we can't untap Vannifar to sac Hulk on her own. I'm stumped. I mean we do have stuff like High Market to sac and even Minamo, School at Water's Edge to untap, but that doesn't feel as streamline. Thoughts Deckwatch crew? Currently helping with brewing this list here. Let me know if there's a specific reason you're using a card I suggested to remove.